Our complex consists of a 20-room facility situated in a one acre space with the addition of a garden. 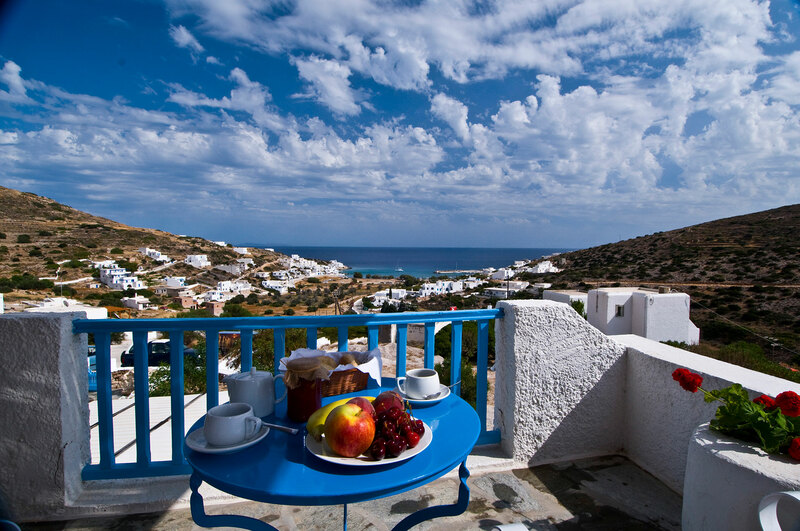 Sikinos is one of the most beautiful and serene islands of the Cyclades, with picturesque alleys and small, lovely beaches of crystal clear, deep blue waters. 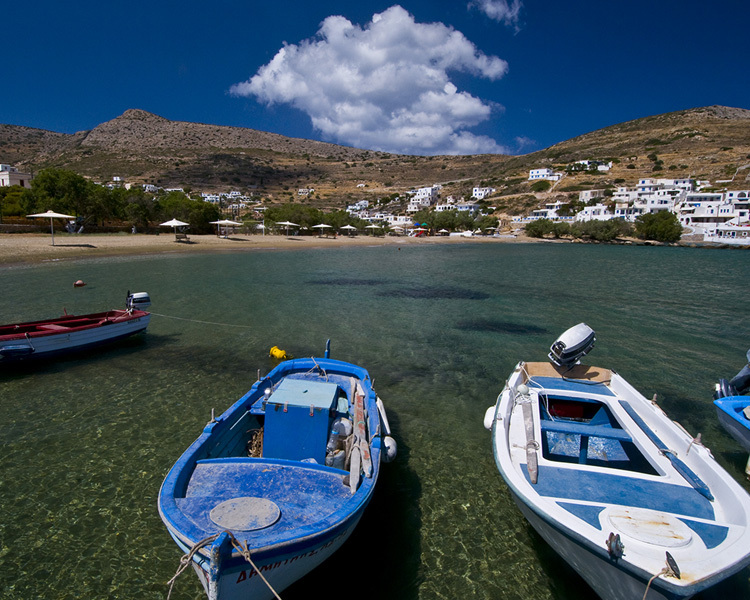 The beaches of our island, albeit just a few, are already famous for their deep blue, clear waters. 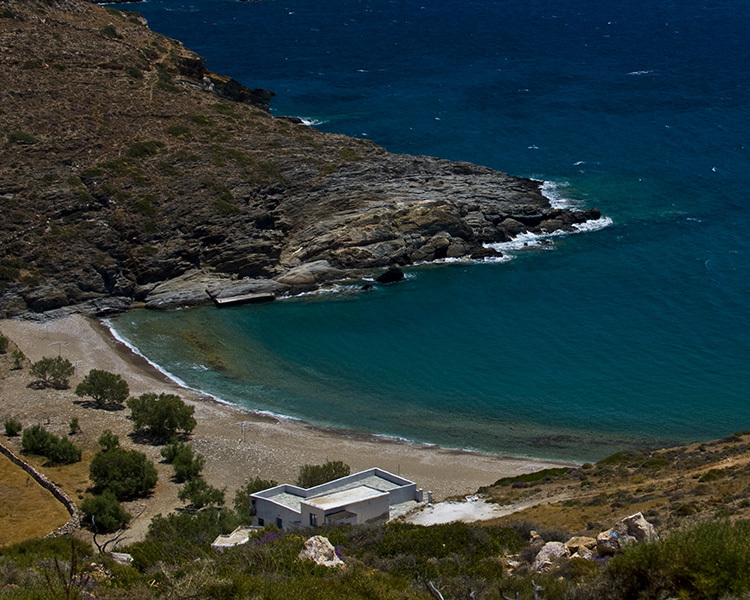 Sikinos is also well known for the walking trails that are available to visitors. Η σίκινος είναι όμορφο νησί, προτείνεται για ολιγοήμερη επίσκεψη. το κατάλυμα είναι κοντά στην αλοπρόνοια, με όμορφη θέα προς το λιμάνι - πολύ καλή επιλογή για διαμονή στο νησί. Fantastic little hotel! The view from my room terrace was wonderful, day or night. 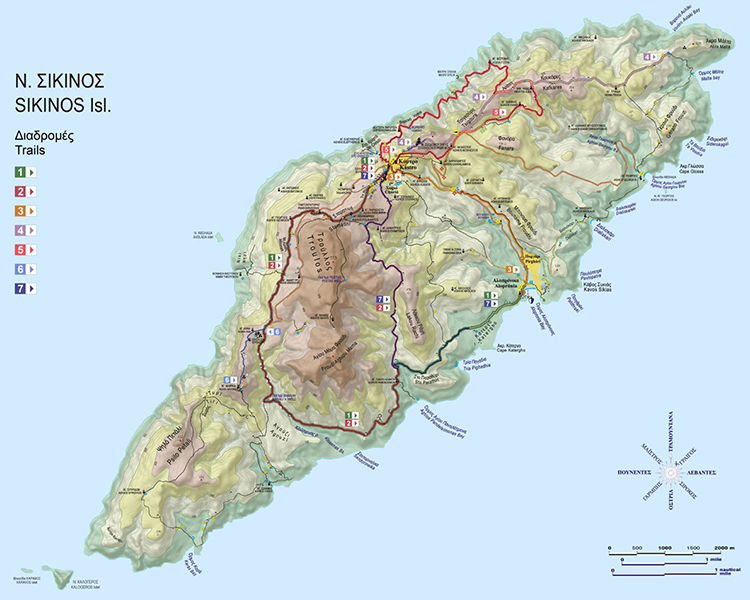 Staff were ever do helpful, advised on local events which I found only a handful of non-Greek tourists knew about. I would go back again. «A lovely position overlooking the port with beautiful views.» The staff were very helpfu in picking us up from the port and bringing our luggage down to us just before the boat came in when we left. The rooms were nicely kept in the grounds and we had a nice terrace to sit on. The bus to the chora stopped right outside the rooms. There was also very helpful information book in the room about the island. Fridge provided in room was very good for keeping fruit and juice fresh. Φιλικότατο και εξυπηρετικότατο προσωπικό. Καθαρά και άνετα δωμάτιο με πολύ ωραία θέα. Μόλις 10 λεπτά περπάτημα από το λιμάνι. Το wifi λειτουργουσε μια χαρα. Όμορφο καθαρό δωμάτιο, με άνετο μπαλκόνι και ωραία θέα στη θάλασσα, σε καλή τιμή. Ο χώρος των καταλυμάτων είναι σαν μια μικρογραφία νησιώτικου τοπίου. Πολύ όμορφος. Η θέα ήταν εκπληκτική, το προσωπικό ευγενέστατο. Our complex consists of a 20-room facility situated in a one acre space with the addition of a garden. 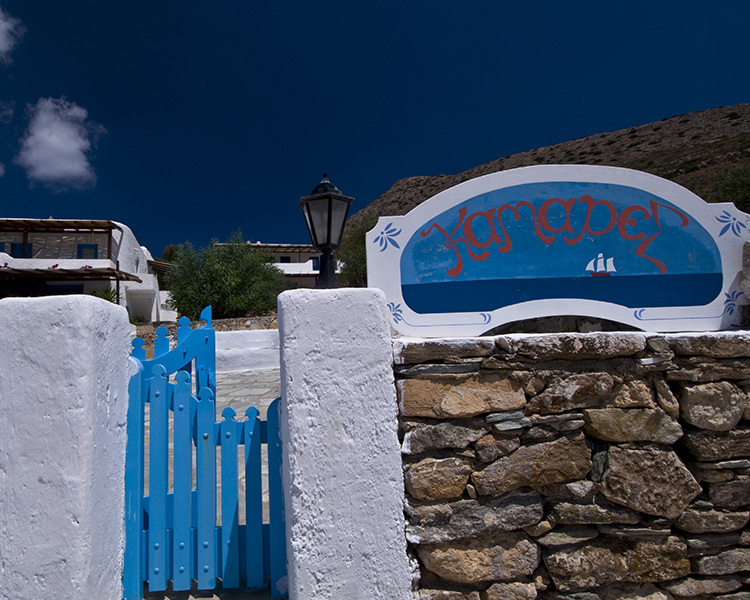 There are three two-storey buildings and three rooms per floor that are facing towards the Alopronoia settlement. It is located 400 meters away from the beach, approximately 5 minutes by foot.